I think your post is well written and I would have said the exact same thing had I done research and organized my thoughts coherently. I am interested to see how the millenials will respond and step things up. The baby boomers bad-mouthed the gen x’ers until we grew up and I expect the same will hold true when the millenials grow up a little. aarf aarf to that, dear dog. 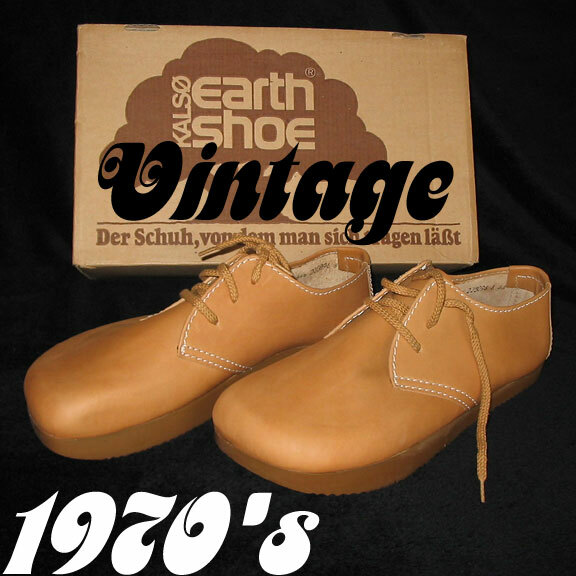 You might be interested to know that THIS Gen Xer wore Earth Shoes as a kid and believe it or not, I bought a pair of them again around two years ago. I wear them from time to time to see who’ll recognize them. No one does and they’re uncomfortable. I wonder what that means…You bring up great points and the crisis warnings, though undoubtedly true, scare the bejeebus out of me. I have busloads of nieces and nephews who are college age and younger and based on my experience with those kids, their generation will have no trouble rising to the occasion Great post..
Cindy, What a wonderful post! I’m definitely a Boomer — one of the earliest ones — and I see so much of myself and my friends in what you wrote. I also love your perspective on the Gen Y’s, in whom I see so much promise (and from whom I learn every day). Thanks! Paul: I did too! I was shocked to see that they still live. Apparently you dont hang out w/ many aging boomers… heh. 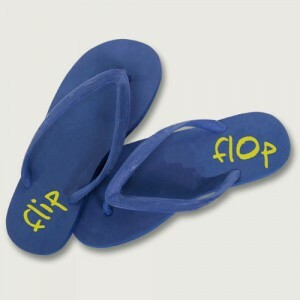 luckily I wear mostly flip flops now since I sit on my tush at my computer! I might need to give it some context!! it does sound bleak here. These are cycles… means that one type of generation and events follow another. Creators, settlers, exploiters, crisis, and start over, or something lk that. a circle. Theres many similar theories, pick and choose. None really show a glorious period for US, largely b/c we were on a 50 yr high, yes? I think the downer of 2005+/- is linked to environmental which is rather worrisome. You write abt that sometimes already, no news to you, yes? fyi, in futures thinking, there’s trends, cycles, discontinuities or wild cards – lk 9/11, and then people’s will – leadership, ideas, culture to affect it, all linked into systems – one thing affects another. Cycles are just one part. Its alot like alternative designs, and the design process, we use scenarios to sort things out, imagine or frame probable futures. I agree w/ you, I think the next gen will get us out of this – they will see no choice but to act and they will have the tools. Boomers, and sad to say Gen X’ers, are too hooked on past paradigms. Gen Y’s are just in their cocoon, according to this theory, it’s what will prepare them act. In the meantime, they are taking some heavy hits in the media! whoa. as we all did at that age. “sign sign, everywhere a sign, blocking out the scenary, breaking my mind…” http://youtu.be/c_KFbS5A4Ng Paul, thanks for yr comment. and for hosting the #letsblogoff. Interesting post. I should be boomer/gen x, but that curve does not seem to fit me I hope. GTgnfQ This website definitely has all of the information I needed concerning this subject and didn at know who to ask. I surprise how a lot effort you set to create this kind of great informative website. Howdy! I just would like to give you a big thumbs up for the excellent info you’ve got right here on this post. Om05d4 It as not that I want to replicate your web-site, but I really like the layout. Could you tell me which theme are you using? Or was it especially designed? I just want to say I am just all new to blogging and site-building and definitely loved this web page. Most likely I’m want to bookmark your blog post . You surely come with terrific articles. Thanks a lot for sharing with us your web page. something like this before. So good to discover another person with some genuine thoughts on this subject matter. I do trust all of the ideas you’ve presented on your post. They are very convincing and can definitely work. Nonetheless, the posts are very quick for starters. Could you please prolong them a little from subsequent time? Thank you for the post. Great goods from you, man. I have understand your stuff previous to and you’re just too magnificent. I really like what you have acquired here, really like what you are saying and the way in which you say it. You make it entertaining and you still care for to keep it wise. I can not wait to read much more from you. This is really a wonderful website. Needed to write you a very little word to help thank you the moment again for these breathtaking tactics you’ve documented at this time. This has been really particularly generous with you to provide easily just what a few individuals would have marketed as an electronic book in order to make some bucks on their own, most notably now that you might well have tried it in case you wanted. The thoughts also acted like a good way to understand that other individuals have the identical dream the same as my very own to learn whole lot more regarding this condition. I think there are several more pleasant instances up front for individuals that read carefully your blog. Thank you a lot for sharing this with all folks you actually know what you’re speaking approximately! Bookmarked. Please also consult with my website =). We may have a link alternate contract between us! I do accept as true with all the ideas you’ve offered to your post. They are really convincing and will certainly work. Still, the posts are too quick for novices. Could you please extend them a little from subsequent time? Thanks for the post. wonderful post, very informative. I wonder why the opposite experts of this sector don’t notice this. You should continue your writing. I am confident, you have a great readers’ base already! hey there and thank you for your info – I have definitely picked up something new from right here. I did however expertise some technical issues using this web site, as I experienced to reload the site lots of times previous to I could get it to load properly. I had been wondering if your hosting is OK? Not that I am complaining, but slow loading instances times will very frequently affect your placement in google and can damage your high quality score if ads and marketing with Adwords. Anyway I am adding this RSS to my e-mail and can look out for much more of your respective exciting content. Make sure you update this again very soon.. I truly wanted to compose a comment to appreciate you for all of the nice ideas you are posting at this website. My time intensive internet search has at the end been honored with reputable strategies to go over with my friends and classmates. I would state that that many of us site visitors are really blessed to be in a superb community with so many marvellous individuals with valuable methods. I feel rather grateful to have encountered your web site and look forward to many more enjoyable times reading here. Thanks once more for a lot of things. I needed to draft you one bit of remark to thank you as before just for the wonderful things you’ve shared in this case. It is certainly particularly open-handed of people like you to offer unhampered what exactly most people would have offered for sale as an e-book in order to make some money for their own end, mostly seeing that you might have done it if you ever decided. These points in addition acted as the good way to be sure that some people have a similar keenness like my very own to realize a lot more when considering this issue. I’m sure there are numerous more enjoyable periods ahead for individuals that scan your website. whoah this blog is great i really like reading your posts. Keep up the great work! You know, lots of persons are looking around for this info, you can aid them greatly. What i do not realize is in fact how you’re not really a lot more well-preferred than you may be now. I together with my friends came analyzing the good secrets and techniques found on the website and so the sudden developed a terrible suspicion I never thanked the site owner for those techniques. Those young men had been consequently passionate to read all of them and have in effect very much been making the most of these things. I appreciate you for turning out to be quite kind and also for picking such amazing things millions of individuals are really wanting to learn about. Our own honest apologies for not expressing appreciation to earlier. wonderful put up, very informative. I wonder why the opposite specialists of this sector do not understand this. You must proceed your writing. I am sure, you’ve a great readers’ base already! I have learn a few just right stuff here. Definitely value bookmarking for revisiting. I wonder how much attempt you put to create this type of great informative site. I will right away clutch your rss as I can not find your email subscription link or newsletter service. Do you’ve any? Please allow me realize so that I may subscribe. Thanks. I¡¦ve been exploring for a little bit for any high-quality articles or blog posts in this sort of house . Exploring in Yahoo I eventually stumbled upon this website. Reading this information So i¡¦m satisfied to express that I have an incredibly good uncanny feeling I discovered just what I needed. I so much indisputably will make sure to do not fail to remember this web site and provides it a glance on a constant basis.